Trustworthy owner satisfaction comes from finding the best-suited tenant. Eaton Realty Services cooperates with other agents to identify the most qualified applicants who are interested in your property. In this way, we are able to increase the number of individuals looking to lease your rental property. Eaton Realty Services advertises on many different web sites and utilizes the latest marketing techniques. Also, your rental property is listed in the local Multiple Listing Service (MLS) to increase exposure and encourage showings from other brokerages. The screening process of tenants influences the application approach, which includes a full background and credit check, the verification of employment, income, and rental and eviction history. Once we have successfully placed a tenant at your property, we begin the real work to make your investment a success for you and your family. With full service property management, we complete the tenant placement process, handle rent collection, coordinate service calls for repair and perform move-in and move-out inspections. This option also includes quarterly, semi-monthly or annual property inspections and free direct deposit of rental payments into your account. We successfully handle long-term rentals and property management. Having a property manager who understands your specific property type is important. Whether your rental property is a condominium, a townhome or a single-family home with a very complex Home Owner’s Association or property in the heart of the Historic District, having a knowledgeable and experienced professional working for you is your answer to becoming a successful landlord. Having a monthly statement that reports all activities on your property. 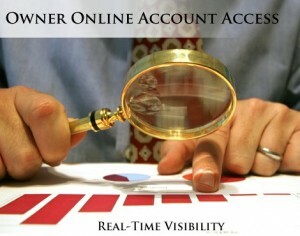 You can access your account 24/7. Access your account from anywhere, from any computer provided you have Internet connection. Fast direct deposit payments into your bank account using ACH (electronic payments). Have questions about our property management services? Allow us to contact you and provide the answers you need!